Vijayalakshmi's Non-Stick cookware range makes your kitchen a complete and perfect place.Now making soft rotis, parathas, dosas,toasting bread, preparing curries, deep-frying, and sauteing made easy and perfect. 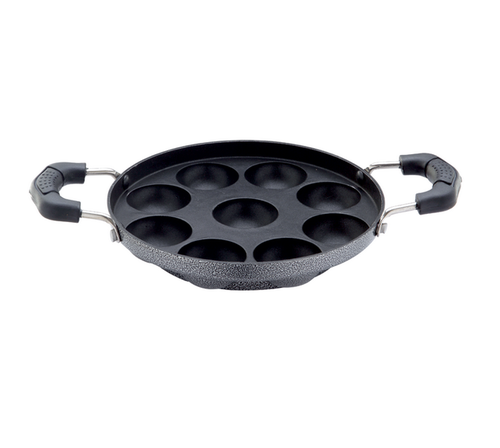 Our selected range Non-Stick Cookware offers induction compatibility.It is important to use a POFA free Nonstick coating for the healthy cooking and well-being. Next time, when you choose a Nonstick, ask for Vijayalakshmi's Nonstick cookware that is sure POFA free. Choose from our exciting range of Tawas, Pans, Kadai, Appachatty and Paniyarakkal to make your kitchen the most enjoyable place of the earth.